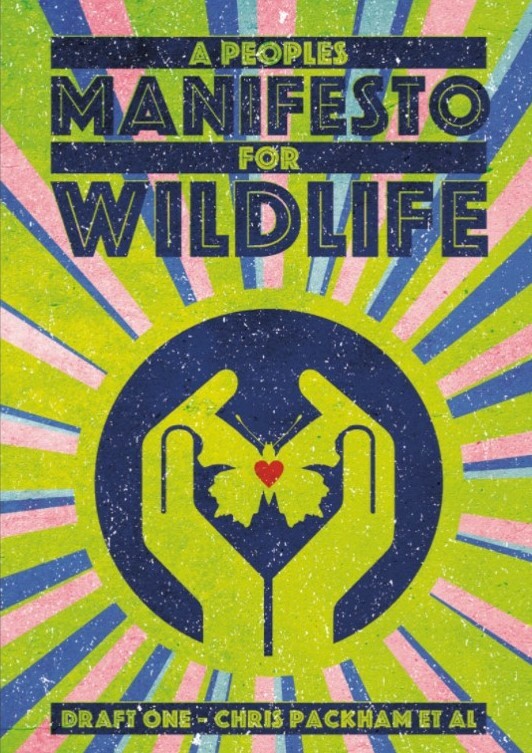 Thank you if you have already written to your MP about the Manifesto for Wildlife. If you haven’t got around to it yet then do please give it a go – here is some information and advice. Thank you for contacting me about the Manifesto for Wildlife. I share your desire to protect wildlife and am pleased that the Government is committed to being the UK’s greenest ever. As the authors of the ‘Manifesto for Wildlife’ concede that their document is a provisional first draft, let me outline some of the actions the Government is taking to safeguard our environment. Since 2010 greenhouse gas emissions have reduced whilst the economy has grown, air quality has improved and land management schemes established to promote conservation. Over 11 million trees have been planted and 50 Marine Conservation Zones created to help protect our rich marine life, with a further 11 million trees on their way and 41 new Marine Conservation Zones proposed. Internationally, Ministers are calling for a third of the world’s oceans to be protected by 2030, trebling the current global target. The 25 Year Plan to Improve the Environment will build on these developments. Outside the EU we can develop global gold standard environmental policies, taking more targeted approaches. Having left the Common Agricultural Policy we can use public money for public goods, rewarding environmentally responsible land use. Unless the scientific evidence changes the UK will also continue to restrict the use of neonicotinoid pesticides after Brexit. Meanwhile, by leaving the Common Fisheries Policy and regaining control of our waters, we will be able to grant access and allocate quotas based on sustainability, allowing us to pursue the highest standards in marine conservation. Ministers will introduce the first Environment Bill in over 20 years, establishing a world-leading body to hold government to account. We can, and I believe we will, be the first generation to leave the environment in a better state than we inherited it. Thank you for contacting me about A People’s Manifesto for Wildlife. I appreciate agree that nature and the countryside can be hugely therapeutic and it is important that we protect the natural world for future generations. The environmental challenges of today are of a different order to those faced in the past, and require a more comprehensive package of measures. The RSPB’s State of Nature Report outlined that the UK has lost significantly more nature over the long term than the global average and ranks amongst the most nature-depleted countries in the world. I believe it is vital that we bring about the change needed to address the causes of environmental degradation. We should look at how to improve the rules that give farmers responsibility to conserve, enhance and create safe habitats for birds, insects and other wild animals. I think more work should be done with farmers and foresters to promote biodiversity and encourage the growth of wildflowers. Through the creation of a blue belt, we can also protect habitats and species in our oceans. I also believe we can do more to get children out and connected to the countryside. If children are engaged with the countryside at a young age, it is likely to stay with them as an interest for life. As you may be aware, the Environment Secretary has pledged to consider the manifesto. I hope the Government will recognise the effort and expertise that has gone into it and listen to the concerns that it raises about our natural environment. Thank you once again for contacting me about this very important issue and for sharing your views. MPs often get a bit snooty when they are sent standard emails about a subject but as you can see, many of them are using standard responses to you, their constituents, on this subject. they aren’t answering your questions they, or someone in their office, is just seeing the words ‘Chris Packham’ or ‘Manifesto for Wildlife’ and are trotting out the same response. It’s not through partiality that I can forgive Labour MPs for doing this, after all they tend to have fewer resources at their disposal than do the party of government, and, actually, the Labour response is pretty good. But the standard Tory response is a classic case of sending back a load of information (which isn’t very accurate or impressive) instead of actually bothering to respond. That’s why, I would ask you to get straight back to your Conservative MP along these lines if you get the standard response. Hi Mark, you can add Heather Wheeler, South Derbyshire to your Conservative list. I’m still waiting for a response to my second letter asking her to answer the question properly. Lorraine - thank you very much. Chris - can't resist pointing out he is living up to being the quiet man..shhhhhhh!!!!!!!!!! Thanks for writing to him and letting me know - and thanks for your comment. Stewart - thanks. He is already in the list. But he has clearly heard from several constituents. Thank you. We wrote to Trudy Harrison our MP (Copeland, Cumbria.) on 1st October gaining an auto-reply stating that she prioritises her responses. Having therefore concluded that the Manifesto and Environmental issues are off the bottom of her scale of priority we have written again today. We will forward a response should we get one! Mike - many thanks for writing and for the update. Yes, that is quite a long wait. If I were an MP in a marginal seat I would try to avoid giving the impression that my constituents' views don't matter to me.